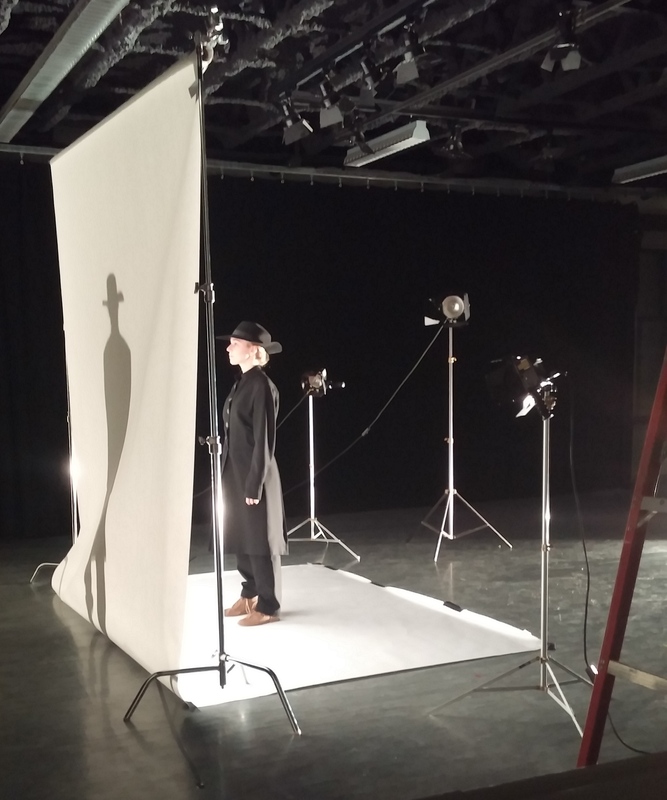 Film students recording shadow projections. This year Professor Aaron Greer and a group of film students are collaborating on a project with Choreographer Amy Wilkinson and dancers from the Loyola Department of Fine Arts to create a special piece combining live dance, video and motion graphics. The dance piece, called Gather Up the Fragments, will premiere first at the Loyola Main Stage Performance in February, then at the Loyola University Museum of Art (LUMA) in March, and finally at the American College Dance Festival at the end of that month. In addition to creating media and effects for the live performance, the film students are simultaneously working on a documentary, which tracks the process of choreographing Gather. The documentary (short teaser below) explores how a choreographer goes from concrete idea, story or theme– in this case exploring the culture of the Shakers, a unique, American religious sect–to the abstracted movements and motions of modern dance. The documentary will be on display at LUMA and will also be entered into dance-film and documentary festivals around the country. You can read an article more about the collaboration here or watch a short teaser of the documentary below.